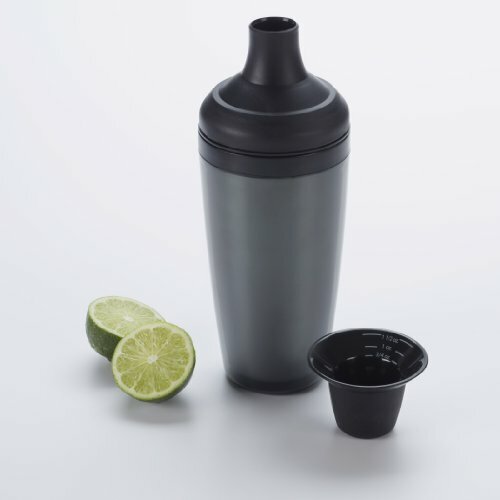 Shake, mix and pour with the Oxo good grips cocktail shaker with jigger cap and built-in strainer. Double wall construction prevents sweating and keeps the cold away from hands during use. 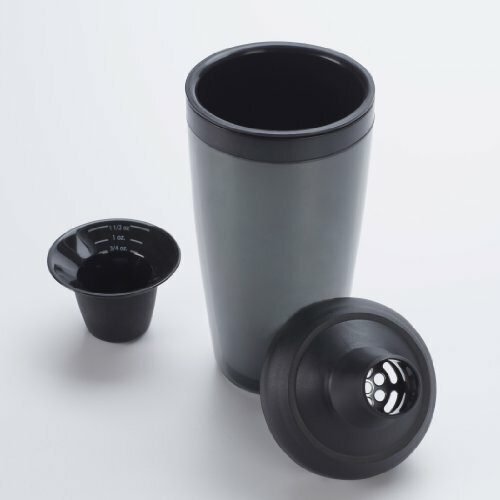 A soft gripping surface on the jigger adds comfort while pouring and prevents hands from slipping while shaking. 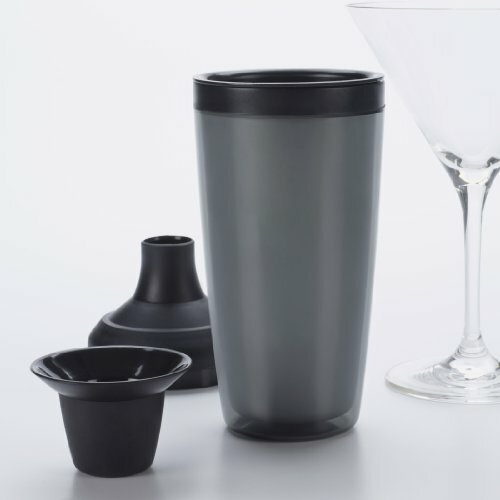 .75-ounce, 1-ounce and 1.5-ounce measurement markings are located on the inner surface of the jigger for easy liquid measuring. 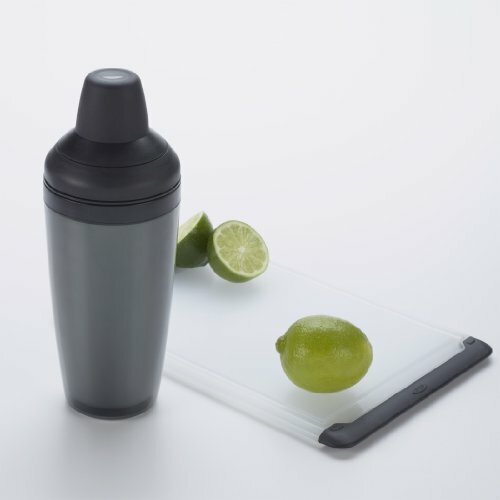 Simply pour in favorite ingredients and shake in style.